Amanda Seyfried and Channing Tatum get close in a steamy scene from Dear John. Amanda Seyfried and Channing Tatum hold each other tight in a touching scene from Dear John. This is also the poster image. Amanda Seyfried and Channing Tatum share a cute glance in Dear John. 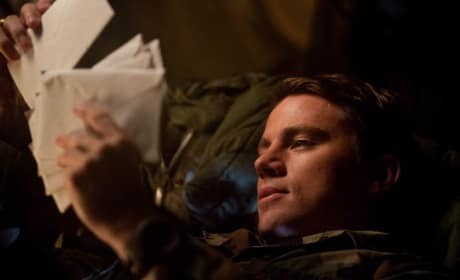 Channing Tatum reads letters from Amanda Seyfried in Dear John. Channing Tatum plays military man John Tyree in Dear John. 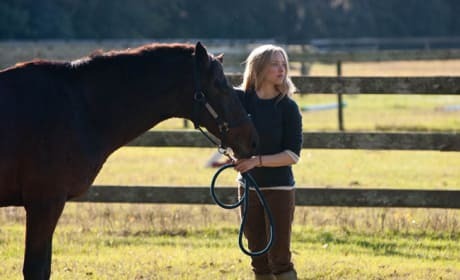 Amanda Seyfried tends to her horse in a tender scene in Dear John. 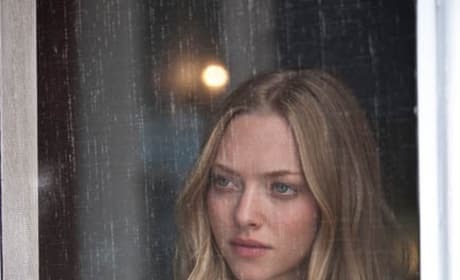 Amanda Seyfried plays Savannah Curtis in Dear John. 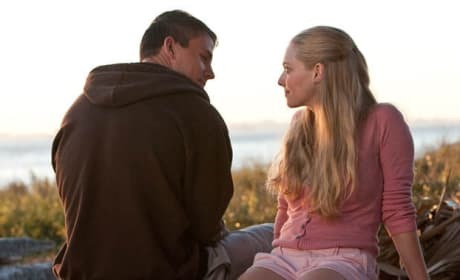 Amanda Seyfried and Channing Tatum share a romantic moment in Dear John. Amanda Seyfried and Channing Tatum play star-crossed lovers torn apart by war in Dear John. Theatrical poster for Dear John, starring Channing Tatum and Amanda Seyfried.